It's FREE to recover SD card data for the first 100MB. Recover lost photos, videos, documents, emails, audio and more from SD card. Compatible with all brands like SanDisk, Kingston, PNY, Lexar, Transcent, etc. Read data only - there's no any possible way to loss more data. Recover photos and videos taken from Nikon, Canon, Sony cameras SD memory cards. 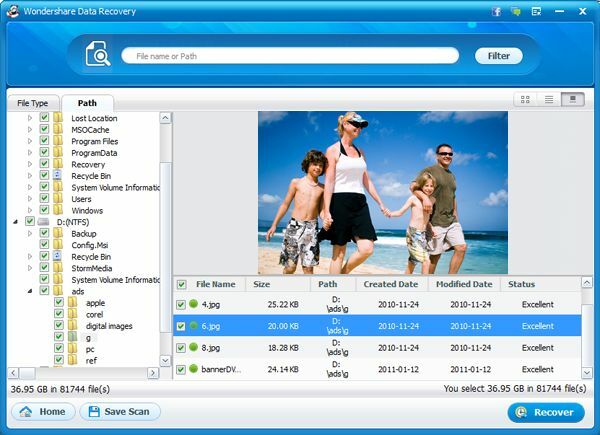 WS SD card Recovery for Windows a specialized SD (Secure Digital) card data recovery software that recovers lost or deleted photos and media files in a few clicks. No matter if your files were inaccessible due to accidental deletion, or you formatted SD, miniSD, microSD, SDIO, and SDHC memory cards by mistake, all you need to get the SD Card Recovery to do a scan. 4 recovery modes ensure that you can recover as many data as possible if not all. Lost File Recovery - An easy and fast way to rescue deleted or formatted data on your SD card. Partition Recovery - Automatically find deleted or formatted partitions and perform data recovery. Raw File Recovery - A complete way to recover every file on your SD card. Resume Recovery - Save scanning results to recover SD card data later. Note: If your computer doesn't come with a SD card slot, you need a SD card reader to connect your SD card to your computer. Buy on Amazon now. 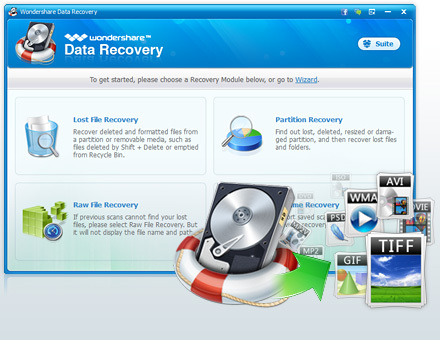 What do your think about WS Data Recovery? Feel free to try and comment. Performs READ-ONLY operations on your SD card. It doesn't move, delete, or modify the data on the card to avoid causing further damage or overwriting. 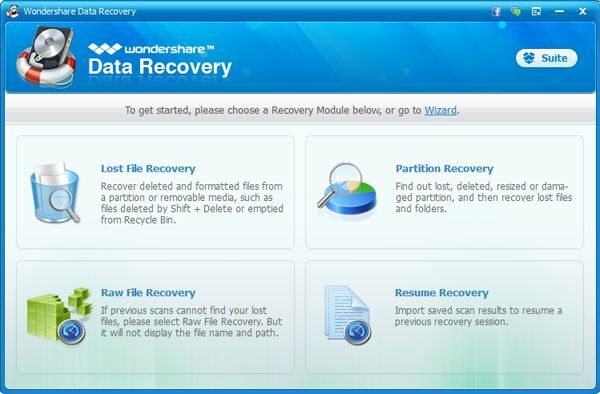 Recover deleted or lost photos, audio, videos, office documents, emails and archived files using QuickScan technology. Restore 550+ file types from formatted or damaged SD memory cards, miniSD cards, microSD cards, SDIO cards, and SDHC cards. A data recovery wizard is provided so you can perform SD memory card recovery by answer questions step by step. 3 steps to recover SD card data - Scan, Preview and Recover. Preview images, audio, documents and other files to assist you to restore data that are exactly what you want. Pause scanning anytime you want to preview data or save the scanning results to retrieve data whenever you want. Totally FREE to recover SD card files with small file size (100M in total). Try before you buy - Only place an order when it can recover files from your SD card. Locate found files by keywords and filter options like file size, name, date, etc. Supports all types of SD cards, including miniSD cards, microSD cards, SDHC, SDXC, and the like. Recover deleted files from FAT16, FAT32, exFAT, NTFS file systems. Deep Scan and Raw File Recovery modes are optimized for different data recovery condition. Raw File Recovery is especially helpful for SD card photo recovery. 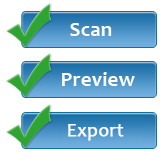 Scan filter allows you to arrange files by Path or File Type. Free technical support and lifetime upgrade. Step one: choose a SD card data recovery mode. Use Wizard Recovery mode if you're not sure which mode is better for your situation. This mode helps you recover files by answering question step by step. Step two: select your SD card drive you want scan for deleted or lost files. Just wanted to send a thank you to your company for having a product that worked so well. The SD card in my camera stopped working and I thought all my photos were gone. Fortunately after using your product, now they are stored on my computer.